There are few watches which can boast genuine aviation pedigree and the Longines Avigation Oversize Crown is one such sample of elegant aesthetics and aviator functionality. 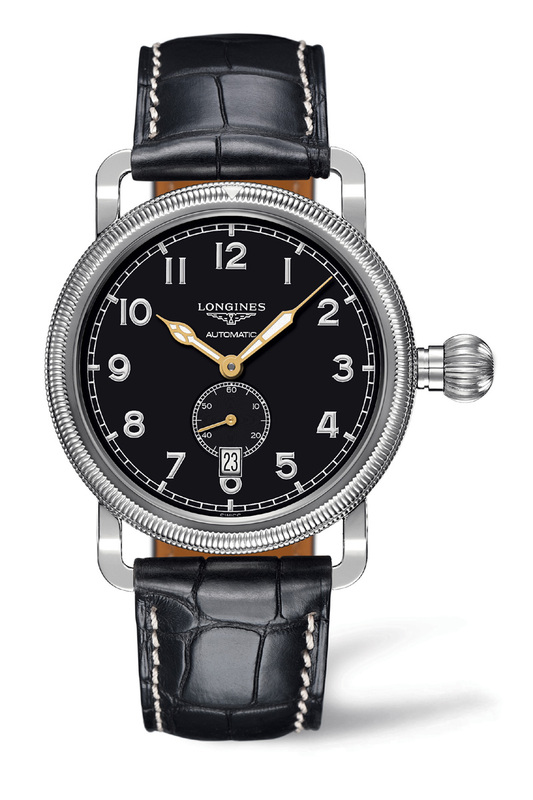 More than a reproduction of the original Longines model created in the 1920s, the all new timepiece with 41mm diameter and ‘flight-legible’ dial with white numerals and gold-plated lumed hands set to an onyx-dark background promotes humble timepiece into the ranks of realistically designed timepiece that would actually work in the semi-darkness of the cockpit. That said, while the fluted bezel is remarkably well constructed, lending some sophisticated class to what’s supposed to be a ‘tool watch’, I felt that the single index for reference points might get lost in a little light glare off the high polished, uni-directional bezel. The oversized crown realistically is more for flair now unless you happen to be wearing the Avigation Oversize Crown into a fighter jet which in this case, you will be in good stead for the oversize crown and winding stem, bestowing upon the wearer both easy access to the bezel without fear of contact with the crown and quick adjust without affecting the bezel. The Longines Avigation Oversize Crown takes the essence of the original design, giving life to three stanless steel variations- a basic hours, minutes and petite seconds with date; a GMT model with second time zone by way of 24 hour markers and finally, a single push-piece chronograph fitted with Longines’ exclusive column-wheel chronograph movement (L788). Each piece in this new line is numbered. How did you know I want this watch ? Although the exact watch I like is the Avigation A7 which is a little different from this watch.